Daleen Hassan, Euronews: _Japan is drawing on its experience and knowhow to try and meet the sustainable development goals set out by the United Nations for 2030. 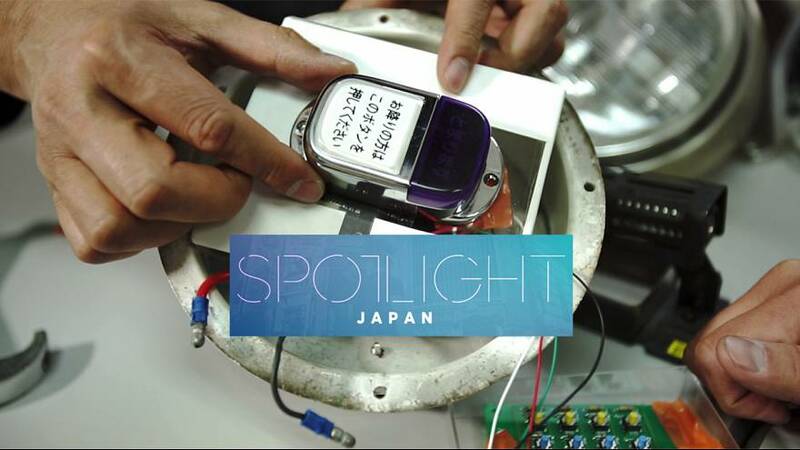 “This edition of Spotlight looks at how Japanese innovation serves sustainability. Stereotyped as “dirty, hard work and dangerous,” the construction sector is considered an industry that is undesirable for younger generations. Smart Construction systems are based on information communication technology. Laser-scanning drones are used to survey specific job-sites. The data is then used to create 3D surveys and this information is shared with all machines and workers via the control room. This system achieves high-precision construction and shortens the period of work on site which increases efficiency and makes the process more environmentally friendly. Komatsu is keen to attract more youth to work in the field, especially women, their participation is pivotal because of the labor shortage of more than 1 million workers in the Japanese construction sector. Daleen Hassan, Euronews:Waste is a big problem in both developed and developing countries. Suhji Yonomura believes objects that have become obsolete can be given a second life. For instance, what do we do with a tram when it’s no longer fit to run? The Remember project, is a new style of Japanese initiative 3Rs (Reduce, Reuse, Recycle) that is creating new products from waste materials that would otherwise be scrapped. “The project’s idea has developed by Shuji Yonemura who likes to call it a “spiritual recycling” transforming the materials of an old tram into some useful tools that people can keep as souvenirs. Shuji believes that his project could be adopted in different places like Europe where trains are relied upon heavily. Mobilising “knowledge”, expertise and the will to make the world a better place to live in are key sustainable development goals. Daleen Hassan, Euronews: _To learn more about Japan’s implementation of these goals I am joined by Megumi Ishizuka,Deputy Director of Global Cooperation in Japan. Daleen Hassan, Euronews: _This leads us to our next report. Sub-Saharan Africa faces a crucial open defecation problem, which is the main cause of diseases spreading, preventing girls from attending schools. Lixil SATO toilets have been invented for those countries, the toilet designed to prohibit insects from passing into the open toilets and spreading germs. We met the head of SATO business unit in Tokyo, where he explained the concept. has set a goal to improve sanitation for 100 million people by 2020, however sanitation issues are a big challenge with 2.4 billion people still lacking basic sanitation facilities. Of course, there are a lot of challenges ahead. Do you think that UN sustainable development goals can be realistically achieved by 2030? Ms. Meguimi thanks for being with us. That’s all for now. Thanks for watching.